It's been said that "things aren't made the way they used to be," but at Kincaid, that's not exactly true. 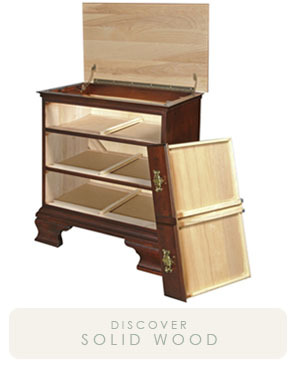 While several enhancements have been made since our beginnings in 1946, we still use solid wood construction, english dovetails, and hand rubbed finishes to craft our wood furniture. And the same can be said for our upholstery. 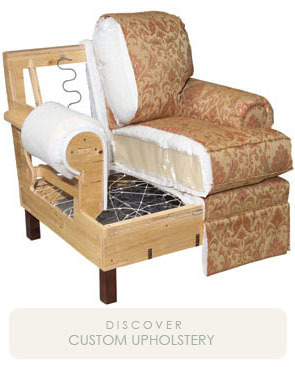 Over the past 30 years, our upholstery operations in western North Carolina have built quality, bench made upholstery one piece at a time. And like Kincaid's solid wood furniture, the upholstery has also benefited from a number of enhancements that continue to add value for the customer. At Kincaid Furniture, things are made the way they used to be, they may even be a little better. Click on either of the pieces below to get a better look!